Bridge No 29 across the Macclesfield Canal is a snake bridge (or roving bridge) which allowed horses to change from one side of the canal to the other without being unhitched from the boats. 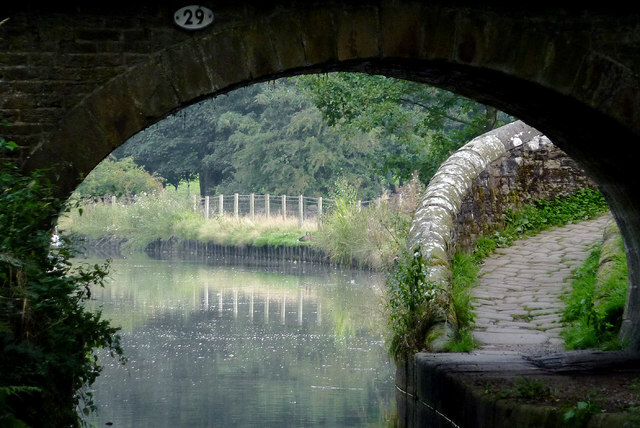 When the canals (or railways) were built in the 18th and 19th centuries, they were often routed in such a way that farmers and other landowners had their land bisected, so bridges had to be provided to allow access to fields on both sides of the canal. These bridges are frequently referred to as accommodation bridges, and however solid and well constructed, often don't lead anywhere except from one field to another.